It used to be hard to sell your products and services to a wider market and make more money. But now there’s an E-commerce site that changes all that. 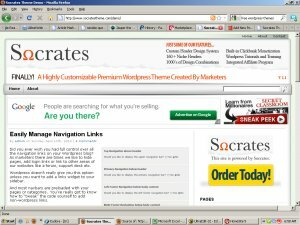 Tripleclicks makes it easy for you to reach beyond you local market and even sell to a global market. If you’ve reached a point where you have saturated your local market and your profits are falling because you’ve run out of people to sell to, then it’s time to expand into the global market. Or perhaps you just want to tap into wider markets to get more customers and increase your sales and profits. All this can be done by putting your business on the internet. Tripleclicks is an E-commerce site that began in 2009, it offers businesses a low cost platform to sell their products and services to a wide audience. It makes it much easier for you to list and start selling your products immediately with tools and services many of which are free and others that are low cost. One challenge that vendors and buyers face is the shipping costs that tend to be high for certain items so much that one is better of getting them locally. But since the site covers both local and international locations, you can offer the free local pickup option for customers who are in your area, state or country. And as the site continues to grow, shipping costs also continue to come down allowing you sell more to people outside your physical location. Now you’ve probably never heard of Tripleclicks and question why you should do business with them over all the big names like eBay and Amazon. 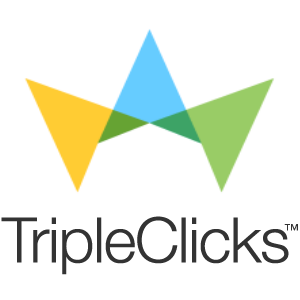 With Tripleclicks selling your product or service is a simple process. It’s easy to put up your listings on your very own storefront on the Tripleclicks website, which is Free by the way. There’s no cost or obligation for you to start selling since there is no membership fee to pay. There is also no limit to the number of items you can put up for sale. Your listings do not expire unlike many other sites that give you a limited period of time to list your item and charge you a fee whether your item sells or not. Tripleclicks allows you to list your item for as long as you want which gives you time and space to promote your business. Listing an item costs as little as 29 cents and only a nominal charge to receive your proceeds in cash. There aren’t any fees if you choose to spend your proceeds on other products and services at the store. I find this convenient because it doesn’t cost you anything more until you make a sale. You get immediate access to a large audience worldwide which means that you can sell to the international market if you choose to. Your storefront is hosted on the Tripleclicks server and you can refer online and offline customers to your store. Receiving payment from your international customers is easy because of the many payment options available, which means more sales potential. And since Tripleclicks processes all payments, you don’t have to hassle with risky transactions from strangers. Tripleclicks facilitates safe and secure transactions saving you 4-5% of your sales in merchant account fees. Then Tripleclicks is backed by the SFI Marketing Group, one of the largest affiliate networks with thousands of affiliates in over 190 countries worldwide. This represents a huge market for your product as well as sales agents since they promote products sold on the site. 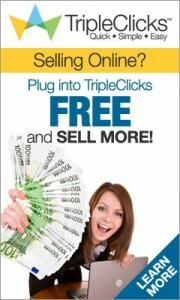 So if you’re looking to expand your customer base then go the E-commerce route with Tripleclicks. It’s a convenient platform to sell more, an inexpensive outlet for your goods and services. And with many other features too many to list here like standing orders for your customers and on line order tracking, even if it had a paid membership it can’t be beat. 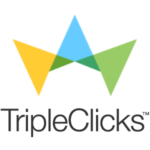 Checkout Tripleclicks today.